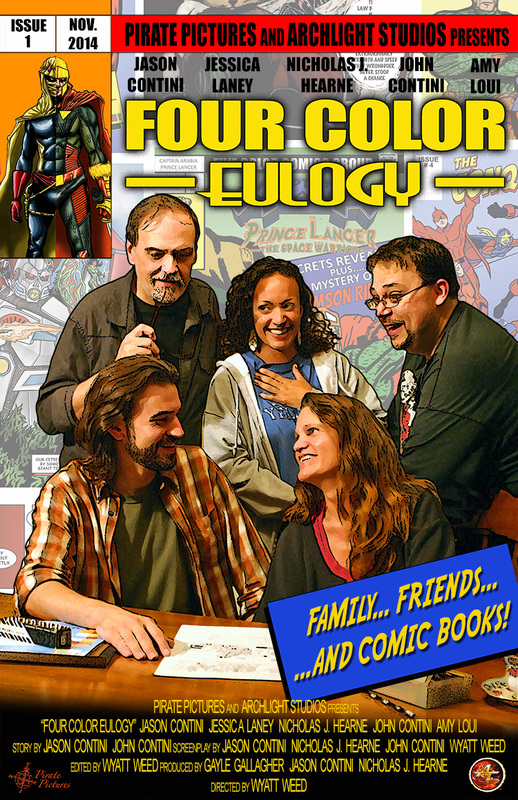 Growing up the only child of a single mother, aspiring comic book creator Chris escaped St. Louis 10 years ago and moved to Portland with his girlfriend Anne, forging a new life for himself. But when Chris learns that his mother is ill, he and Anne have no choice but to pack up their lives and move back home. Uprooted, his life completely disrupted, Chris is forced to face his mother’s mortality and that nagging old childhood question: Who was his father, and why wasn’t he around? With the help of his childhood buddy Brian, a pop culture geek, and family friend/mentor Rich, a bartender with a creative secret, Chris will have to determine what is more important: The hero’s origin, or his ongoing journey? “Four Color Eulogy” is a dramatic comedy that shows it’s never too late to let go of the past and it’s never a good time to laugh at death…even when it’s funny.